Question Bank Software is also known as Question Paper Generator (QPG) or MCQ Test Generator Software or MCQ Test Software. 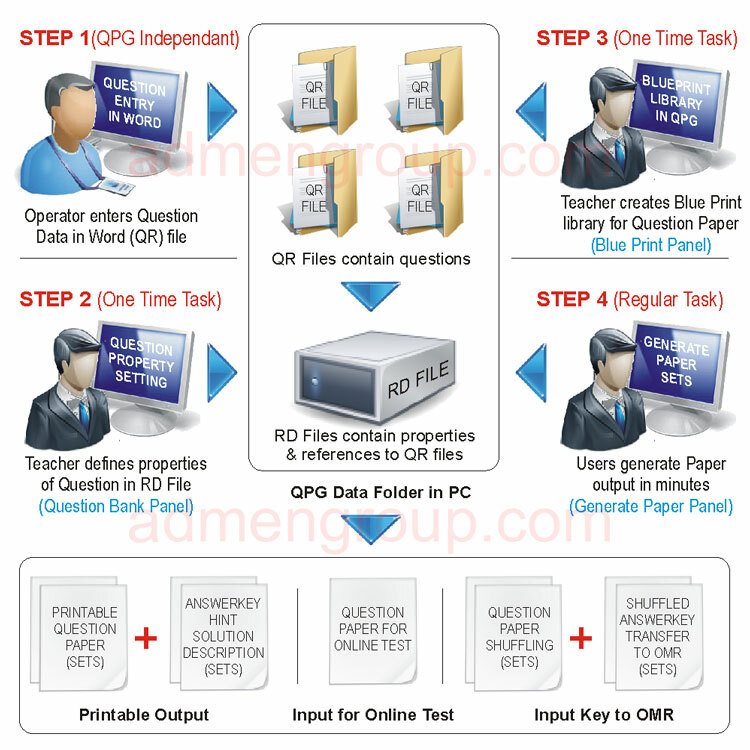 The Question Paper Generator Software can handle all types of questions structures with Diagrams, Formulas, Equations & Pictures can be included in the question and answer. The Question Bank Software very easily stores Objective or MCQ and Subjective or Theory type questions and creates question papers having any type of question. The MCQ test paper can contain simple text questions or diagrams type questions or even questions using images or graphs and charts. STEP 2 > Allocate properties to questions....create a well organized Question Bank. STEP 3 > Specify test paper requirements....create a Blueprint. STEP 4 > Select an output format ....Generate Test Paper and Answer Key.